Back in the era of small-townAmerica, most businesses were on or near the town square and in the course of their everyday life, customers would be in the area. If they had to deal with issues, they could easily connect with the shops and stores where they did business. 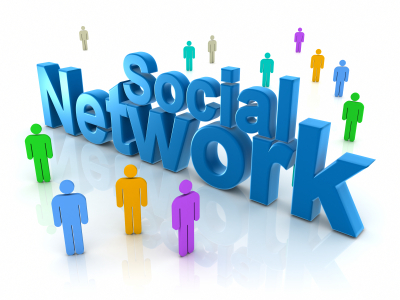 Today, social media could be considered our virtual “town square”. Almost everyone passes by once or twice each day. Savvy businesses, both large and small, are staking out locations in the social media town square to provide their clients with more convenient customer service. Here are six companies that are getting the job done. LP Products is in the highly competitive business of selling printer ink and toner. They’ve worked hard to develop relationships with their customers through Facebook and they don’t just see it as a pipeline to pump their coupons out to consumers. I know a customer who wanted to get off their mailing list and found that their E-mail “unsubscribe” link didn’t seem to work. A post on the LP Products wall got immediate and successful results. They turned what could have been a customer service nightmare into a customer service victory. The folks at America’s Floor Source, a small floor covering company in Columbus, Ohio, understands the importance of maintaining exemplary customer relations. They created a “reviews” tab on their Facebook page. What better way for CEO Jason Goldberg to keep his pulse on customer satisfaction? In fact, he’s been able to work through several issues that came to his attention through this tool and has ended up winning over a number of customers. Often photographers develop gorgeous websites to showcase their work, but Michelle Ciarlo-Hayes has found the communication she has through Facebook can be a real boost to her business. As beautiful as website slideshows can be, they don’t allow for the personal interaction she can get through her presence on Facebook, and that’s really what brides and others who are hunting for a photographer need. A computer consulting and repair business is a natural for leveraging social media. That’s what Dave Greenbaum, of Doctor Dave Computer Repair, discovered. TheLawrence,Kansas businessman finds himself answering customer questions at all hours of the day. Being able to respond quickly to these kinds of situations has proven invaluable. In fact, Greenbaum estimates that almost a quarter of all his customers have connected with him through Facebook. One of the great things about social media is that smaller companies like these can use its tools just as effectively as huge corporations. And the big boys are certainly not missing these opportunities. Best Buy, for example, has had great success with its Twitter-based @twelpforce. (“Twitter” plus “Help” equals “twelp.” Get it?) Customers tweet questions to @twelpforce. Best Buy employees are tasked with tweeting back the answers. Anyone who’s worked a customer service phone line would appreciate this speedy and unemotional way to answer questions and deal with problems. Customers and Best Buy employees both love the system. At the Four Season Hotel in Palo Alto, California, they’re using Twitter as a way to do random acts of corporate kindness. For example, a customer included @FSPaloAlto in a tweet he sent out that talked about how much he was looking forward to hitting the hotel’s spa on his arrival. The hotel responded almost immediately and asked him if he wanted to get that spa reservation on their book immediately. If the hotel had a customer who liked them before, now they had one who was in love with the Four Season Hotel. As these examples illustrate, social media is giving business owners a whole new slate of ways to treat their customers with respect. And, especially for smaller-sized companies, these strategies can be extremely cost effective.